In India, medical expenses ruin the financial stability of people. According to the stats, around 63% people are forced to borrow money to meet the expenses of treating their loved ones and more unfortunately, 12% people find no other way but to sell their assets in order to arrange money for the required treatment. In this gloomy landscape of India's healthcare industry, cashless health insurance has well and truly proved to be a boon for common people. Armed with a cashless health insurance online policy you now don't have to run from pillar to post to gather hard cash, instead, you can avail the required treatments from a quality hospital without having to spend a rupee from your own pocket. Much to the delight of the policyholders, the provider of the cashless health insurance in India settles the bill with the concerned hospital directly. You can avail the cashless treatment facility provided by your online health insurance policy only in the hospitals in the network of your insurer. You can go through the list of empanelled hospitals in your health insurance policy document or on the portal of you chosen health insurer. Usually, TPAs or Third Party Administrator entities in India process, approve and settle the cashless health insurance claim. When Health Insurance Cashless Claims Get Denied? Most people buy health insurance online and keep on paying for the premium without a fail and expect their insurers to stand by their side through their thick and thin by paying their hospital bills. 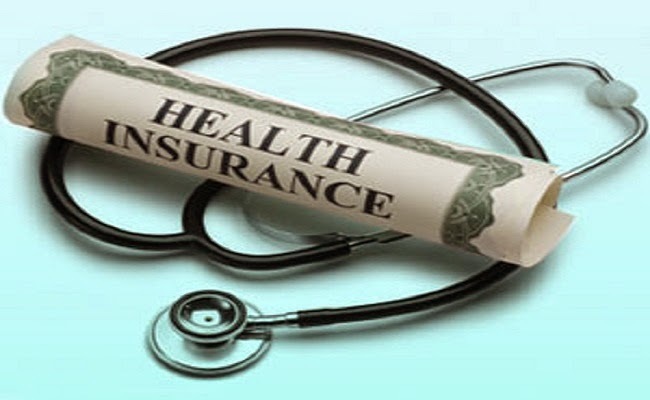 As per the contract of a health insurance in India, the insurer is liable to pay out the medical expenses stated in the policy document up to the limit of the coverage chosen by the insured policyholders. However, there are times when in spite of paying premium on regular basis, the claim for cashless treatment gets rejected and the insured has to go through massive financial turmoil. Why Health Insurance Cashless Claims Get Rejected? There are many reasons behind the rejection of cashless health insurance claims. Here are some of the most common reason for cashless health insurance claim denial. Sometime the information that the concerned hospitals sends to the health insurance company are not sufficient. For an example, if the attending doctor fail to make a proper diagnosis of the ailment, health insurer cannot make decision on the admissibility of cashless health insurance claim. If the health insurance provider receives the pre-authorization letter at the eleventh hour with no adequate time left to check documents, the cashless claim on health insurance plans can be turned down as well. If policyholders are forced to avail treatments on emergency basis in the nearest hospital which is not in the panel of their chosen health insurance provider, the insurer can rightfully deny the claim for cashless treatments. What you Should do to Get your Health Insurance Cashless Claim Approved? Now that you are aware of the possible reasons of claim rejection, you should look to follow the right ways of filing cashless health insurance claim. Usually, cashless claims are lodged in two different circumstances. When the insured plans the hospitalization and when the policyholders arrange for hospitalization on emergency reasons. Let's take a look at cashless health insurance claim process in both types of hospitalization. The first and foremost rule of making cashless health insurance claim for planned hospitalization is to intimate the health insurance company at least 4-7 days prior to the actual day of admission. A pre-authorization request form for cashless claim needs to be submitted to the health insurer online or via post. Being intimated, health insurance provider keep the insured and the concerned hospital about the medical insurance policy coverage and eligibility of policyholders. Finally, policyholders need to show their health insurance card and letter of confirmation. Once the treatment is done, insurer will pay out the hospital bills. The procedure for lodging cashless health insurance claim is different when the hospitalization is taken place on an emergency basis. If you are in a sudden need of treating yourself or your family members, you can make a call on the help desk of your chosen health insurance company and make enquiry about the nearest network hospital in your vicinity. You just have to show your health insurance card to avail cashless treatments in the network hospital. After being admitted, you need to fill the claim request letter thoroughly and send it to your health insurance provider in India. You health insurer will then send an authorization letter mentioning your mediclaim insurance policy coverage to the hospital where you are admitted. Finally, when you are discharged from the hospital, your health insurance provider will settle the bills with the hospital. Apart from being aware of the right ways of filing cashless health insurance claim, you should also keep some crucial aspects in mind to avoid disappointment later. Many medical insurance plans in India come with sub-limits when it comes to covering some specific treatment expenses. You are never going to get full coverage on those treatments even if the total expenses are within your health insurance coverage limit. So, if you read through your mediclaim insurance plan ardently and find out such limits you don't have to be disappointed at the time of claim settlement, rather you can stay prepared to pay the remaining amount from your own pocket. You should be the person who fills up the claim request form at the time of admission. If any third-party fill up the claim request form on your behalf and make any fatal mistake while providing information, it can lead to serious complications later at the time of settling claims. When you buy health insurance online in India, you have to fill up a proposal form which requires different types of information. You need to disclose right information about your medical history, previous case of hospitalization in any, your drinking and smoking habits, any existing diseases and also about your occupation and income. Even if you have to pay a bit higher premium for your health insurance plan for divulging right information, still it will do you a world of good at the time of your health insurance claim settlement. To ensure that your profile is clean and not imposes any risk to your insurer, you can also voluntarily appear for medical test even if your health insurance provider doesn't ask for it. Before making any cashless claim on your health insurance plan, you should also have a clear idea about what is covered and what is not covered in your medical insurance plan. No health insurance policy in India covers all types of medical expenses, so you should also know what exclusions of your mediclaim insurance plan are. Usually, hospitalization expenses for treating self-inflicted injuries, attempted suicide and complications due to abuse of intoxicating substances are not covered under any regular mediclaim insurance plan in India. How Long does it Take to Settle a Health Insurance Cashless Claim? Insurance Regulatory and Development Authority of India has come up with strict guidelines when it comes to the deadline of settling health insurance cashless claims. Health insurance companies in India need to settle a cashless claim within 30 days of receiving last document needed for processing the claim. If any health insurer fails to settle the claim within this deadline of 30 days, policyholders who make the claim are entitled to get an interest of 2% over the bank rate for the total duration of receiving last document to the date of paying out claims. Health insurance companies can carry out investigations before settling claims. In that case, the investigation needs to be started within 30 days after receiving last document and the claim has to be settled within 45 days of receiving the last document. If the health insurer fails to settle the cashless health insurance claim within 45 days, policyholders who make the claim are entitled to get an interest of 2% over the bank rate for the total duration of receiving last document to the date of paying out claims. Is There any Waiting Period to Make Claim on Health Insurance? You cannot just make cashless claims on your health insurance plan as soon as you buy health insurance online nor you can make claims on all types of treatment expenses. All mediclaim insurance policies in India impose three types of waiting period on policyholders. All medical insurance plans in India come with a restriction of cashless claims for the first 30 days since the inception of the health insurance policy. However, you can make accidental claims on your health insurance plan in this period of time. Most health insurance online plans in India don't cover al types of ailments from the first year. There are certain diseases that are covered only after a specific number of years such as 1 year or 2 years. Since this list of specific disease varies from one health insurance company to another, you need to check with your health insurance policy document to know which are ailments that you can make claims for in the initial years. If you have been suffering from any type of disease when you have bought your health insurance online plan, it is considered as a pre-existing disease by your insurer and you can make claims for treatments of that very disease only after serving the waiting period. Depending on the health insurance companies in India, the duration of waiting period for pre-existing diseases vary between 2-4 years. It is therefore, crucial to to get your health insurance renewal done in time every year. If you fail to renew health insurance online in time, you will have to start all over again for serving the waiting period. There are many advantages of making a successful cashless health insurance claim. You not only have to avoid arranging and paying from your own pocket but you also don't have to keep copies of documents, bills, medical reports and discharge report. Making cashless health insurance claim is wiser than making a reimbursement claim as in the latter case, you have to arrange money upfront and also have to go through the hassle of getting your money reimbursed later after being discharged. Hopefully, you are now all set to make cashless claims on your health insurance plan. GIBL.IN, the premiere online insurance marketplace in India provide policyholders with end-to-end assistance for cashless claim settlement. If you buy or renew health insurance online from GIBL.IN, you will get full assistance from filing claims to the tome of settling claims.